Poll: Should Ireland consider nuclear power? The events in Fukushima are bringing the safety of nuclear plants back into the public eye – should Ireland still consider it? The nuclear power plant at Sellafield, and the concerns over its safety since the 1957 fire, have shaped the Irish debate on nuclear power. THE EVENTS at the Fukushima I power station in Japan, where an explosion has occurred amid fears that the central nuclear reactor is on the verge of meltdown, have brought the safety of nuclear power back into focus. 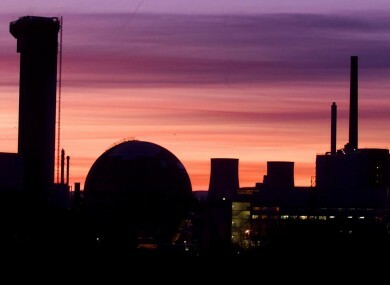 Nuclear scientists say that because the Fukushima plant is a ‘light water plant’, the collapse of the cooling system should ultimately lead to a slow-down in nuclear activity – meaning there ought to be no possibility of a Chernobyl-style catastrophe. While the prospect of nuclear energy has been discussed by Ireland in the past, this year’s programme for government made no mention of nuclear power. While many are opposed to it on safety grounds, plans to inevitably link the Irish electricity grid to those overseas mean that Irish homes and businesses may inevitably be using nuclear power regardless. Given that Ireland does not suffer any significant seismic activity – and given the relative efficiency of a nuclear plant in terms of the power it can produce – should Ireland still consider a transition to a nuclear model? Or does it matter? Email “Poll: Should Ireland consider nuclear power?”. Feedback on “Poll: Should Ireland consider nuclear power?”.